If you are not aware of Jio Preview offer, you are probably living in a cave. I am assuming you are not – and we will skip the part about how this preview offer is giving you unlimited internet, unlimited HD voice calls etc. Up until now, users needed to buy a LYF phone to access the offer for which they needed to spend minimum of Rs. 4000. However, with launch of JioFi router, now anyone can gain access to Jio Preview offer. At cost of Rs. 2899. JioFi Router allows to access internet on 31 devices. We got our hands on JioFi router and decided to do a walk-thru of how you can setup the JioFi device and get it up and running. JioFi allows you to create your own portable WiFi Hotspot which can connect upto 31 devices at a time for internet access. The device supports MicroSD card storage of upto 32 GB. Apart from that, users can use Jio Voice to make calls through JioFi, which are currently free during the 3 months Jio Preview offer. According to Jio, the 2300 mAh battery has a standby time of 300 hrs and running time of around 8 hours. Given that the device can run for nearly 8 hours without recharging, this portable WiFi Hotspot becomes indispensable when on travel or outdoors. When you buy JioFi, it will be accompanied by a Jio SIM card. You will need to first ensure that the SIM card is inserted. Here is how to do it. Once you have successfully inserted the SIM card, you can put the battery and close the back cover. If you need, you can also insert the SD card at this time. Before you insert the battery, please ensure to note down the SSID and password (PWD) which will be needed later to connect devices to the hotspot. Once noted, you can insert the battery and close the back cover on the device. If the device is not charged, please ensure that you charge it over 50 percent using the supplied wire and adapter. After the device is charged, press the button on top for a few seconds, you will see 4 icons light up on the top. Here are the details of various icons and lights on JioFi device. Note: Before starting to set up the JioFi router, you need to make sure that the Jio SIM is activated and ready. It generally takes 24 hours for the SIM to get activated. ( For us, it took more than 2 days for the SIM to get activated). Instructions for activation of SIM card are given on the SIM jacket. You can activate the SIM card in 2 ways. Call from any number to 1800-890-1977 and your data services for JioFi will start. Alternatively, you can put the SIM card in a VoLTE phone and call 1977 for data+voice services to get started. Once, you get a confirmation SMS stating your SIM is activated and ready to use, you can start using your JioFi device. Now, from your Desktop, Laptop or mobile phone look for the SSID and password that you have noted earlier. Connect it via WiFi, and if your SIM is properly activated, you should be able to get the internet on the all the connected devices. You can change the default SSID and password by going to the JioFi Router’s administration panel. The default login name and password to login is administrator/administrator, which you can change as well! Your JioFi Device is now ready and you can start using it as a Hotspot. In our testing, we consistently got a speed of around 10 to 15 Mbps. To ensure that you get good speeds, you should place the JioFi device in such a place where the reception is good. The device range is decent enough and we could get 1-2 bars with 2 rooms and 2 walls apart. Overall, JioFi device is a great purchase, and if you are a heavy internet user, you should seriously think of picking up a JioFi device from your nearest Reliance Digital store. If you have any questions, please do drop a comment! "How to Setup JioFi Router To Access Free Unlimited Internet", 5 out of 5 based on 25 ratings. Hello, I have bought jio Rs. 1500 phone. However hotspot is not available in it. How can use the internet of jio on other touchscreen mobile? Will they update or introduce hotspot app/feature in near future. Please suggest. I want to change my ssid and password of my Jio fi 3 but when i login to the site with both uername and password as administrator it shows to be incorrect ..
Sir, How to connect jio Fi with PC. any problem to nhi hai. 1) Voice quality is inferior. 2) Calling on land line, many times creates an echo. 3) 1 GB daily limit ( which I had assumed to be good enough for me as I use phone/ lap top etc limited), is not enough as by evening 500 mb gets consumed. There is no activity for such high consumption. 4) If I stream a movie on TV for 10 minutes, further 180 mb is gone! 5) End of day, I run short of data. I am not able to access any sites when using Jio with my laptop. It says connection refused. I have activated jio-fi router and using it , I need to register it for jio money app but I didn’t get any OTP to my alternative number, but the app shows OTP have been sent . How do I get that OTP? I changed my JioFi password by process shown above but after changing I cannot connect devices to it, neither with the old password nor with the new one. Pls reply ASAP. My new Jio Sim is activated on a Jio Router. For Jio App I need OTP. where do I get this OTP. I think you will get it after you login to jiofi dashboard, I’m not sure though. JioFi2 dongle is a wifi dongle. You cannot use it in your PC unless the PC has a built in wifi port or you use a separate wireless wifi USB dongle. Sellers tell lies that JioFi dongle can be directly connected to PC’s USB port for accessing data to falsely convince you and make you purchase the device. The business culture is bad and people are not trustworthy, so you lose money. Please don’t misguide. I use this dongle on my PC by connecting it via the USB cable. Once you connect the first time just wait till the drivers get installed (which happens automatically) and then you can directly access the internet. Quite surprised… it is clearly stated…you have to access to through Wi-Fi! Thats how every router/hotspot works.. it is no different for JioFi! i am unable to connect my jiofi 2 with my desktop .. while when i connect with my mobile usb teathering i can easily access internet .. i cheked all the cables are correctly working aslo cheked ports with other usb devices all working well instead of JIO fi 2 .. what is the reason behind it .. anyone has solution for it ..
i am unable to connect my jiofi 2 with my desktop .. while when i connect with my mobile usb teathering i can easily access internet .. i cheked all the cables are correctly working aslo cheked ports with other usb devices all working well instead of JIO fi 2 .. what is the reason behind it .. can anyone has solution for it .. I bought jiofi2 but now it seems as if it isn’t working…the speed is so slow that my own mobile data speed is faster than it…can u plz provide a solution to this? did your problem solved ? i am facing a same problem , in mobile i get more speed than to a jio fi . I DONT HAVE ANY DATA INTERFACE CARD IN MY P.C. IS THAT REQUIRED TO ACCESS JIO MIFI3 ROUTER THROUGH WINDOWS XP ? Does the jiofi comes with a jio sim or we have to buy a new jio sim.?? how do i reset the default passward using laptop??? what are the steps and is there any app or site i need to visit or its on the router itself to reset it???? did u solve it? i am facing same problem..
how to connect jiofi3 to desktop windows xp.ple tell me process. Can we configure JioFi in such a way that, we can allow to connect wifi, but not internet? Something like, allow internet only for configured MAC/IP Addresses and others can connect to WiFi (with this hotspot) and can work on LAN. If this functionality is there, I will be glad to know. First two.days its working.properly but right now….I cant access that ..its showing.one.message “You have exhausted your account balance/credit limit ” ….. my friends also faced same problem…. I bought a JioFI device and my data is working fine.Now i am using a normal 3G phone which is not 4G enabled.I tried to installed/uninstalled Jio4G Voice app almost 100 times.When i try to setup Jio4G voice it goes to select wifi and doesn’t do anything after that.I have removed all other saved networks.Still JIO4GVoice set up is never completed.How to proceed?As expected from Reliance usually customer care never picks up on 18008899999.Any clues? I wanted to know how I can read the daily and cumulative data usage from JioFi2, from my laptop, as I am not using any SD card. No answer for over a week. They do not allow Jionet etc to be downloaded onto a computer. That is another problem. Customer care of Jio is JUST USELESS. They have formatted reply and never answer particular technical or non technical queries. Probably they have bitten off FAR MORE THAN THEY CAN CHEW and now they CAN NEITHER SPIT IT OUT. The future from 01 Jan 2017 does not seem to be bright. Keep my fingers crossed and wait. i have a jiofi device bought a month back. an issue which i am facing is that once the reception is cut, i will have to restart the device to regain connection. same type device owned by a friend, reconnects automatically whenever the reception comes back . i contacted the customer care and they said they’ll contact me with 24 hours, and its been 2 days since then. is there any alternate method to get this issue resolved? I just bought jiofi router.and after 1st day use it says “you have exhausted your data”.so what should I do to access 4g unlimited offer.please help me. I bought a JioFi device with a free sim. Now should I call on 1977 or 18008901977 to activate the sim? If I call on the second number, will I be able to use the sim as a general sim to make calls? And if I call on the first number (1977, i.e for voice+data), will I be able to recharge the sim with router plans or just the regular sim plans after the free preview? After using 2GB of initial data, the 4G data is exhausted. Despite contacting several times to the Customer Care the problemis not resolved. I wonder whether the unlimited FREE data(what is called JIo Preview Offer) will be available before 31st December, 2016. How to make voice calls and sms through JIOFI device? Is it possible to recieve calls for the Sim inserted in JIOFI device? sir i changed the wps. Then the jiofi network is not search in any mobile.How to solve this problem. Any update on 2GB to unlimited workaround? What is the solution to 2gb limit thing? How many days will it take to get converted to unlimited data from 2 GB data plan? Hi arun ! Failed to recharge after using 2 gb interim data in jiofi .. What next ?? Will they automatically open the unlimited offer ? Its not working after 2GB since 4 days. Complaint filed, they day ots now processed but not working still again filed complaint. Sir can I use other sim cards on this device? When you are connected to the JioFi router, open your browser and go to http://jiofi.local.html/index.htm – After that login with default login name password (administrator/adminitrator) – Go to user settings and click on “Restore default settings”. That will reset your router to default settings. I bought the same on 15th. Everything is fine, speed is great, but I cannot access many of the Jio apps – On Demand, Mags, Beats. I get a prompt that I need a Jio sim to access these. Jio Play works though. Any solutions to this? What is the range if this device ? can i use that in 3 apartments (2 on the 6th floor and 1 on 7th floor)? 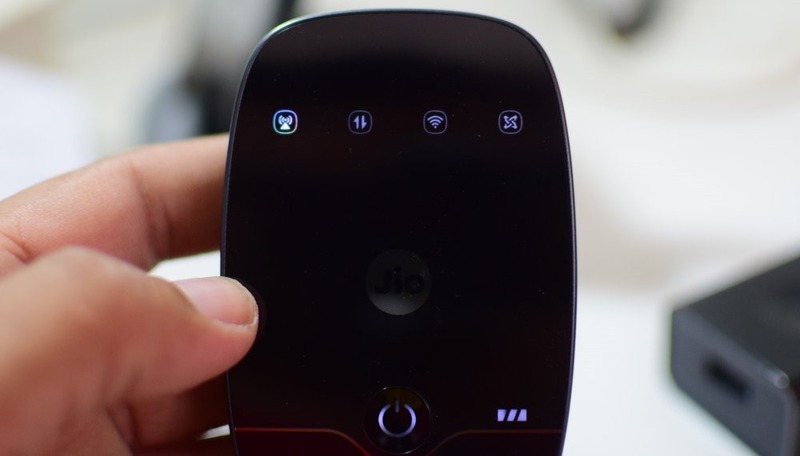 JioFi router / Hotspot can be set with any Jio SIM. I purchased a Jio LYF mobile – Flame 6 in Rs.2999 on 26-07-2016. I make Hotspot active and connected 2 laptops of Windows 7 and windows 8. Both online upgradadation to Windows 10 with 3.5 GB each, downloading started and with about 8 to 9 hours both laptops updated successfully. Good download speed and free 75 GB Data for 3 months. But now after 14 days, the download speed does down. Maximum 120 KBPS only is being received. Reason may be hundred/thousands of Jio SIM sold and at a time they are using internet. The Jio Mobile tower capasity is same. But users are much. So speed down much down. how can i make voice calls from jiofi? Alternatively, you can put the SIM card in a VoLTE phone and call 1977 for data+voice services to get started. Will this not void the offer. If I put the sim into redmi note 3 and use for activation and after it. What if I don’t use it in jiofi device at all. where in Pune are you using JioFI. Can it replace 1500 per month Home Broadband connection with 4 Mbps Speed. Is it consistent in spd? YEs, I have replaced it with our 4 Mbps broadband connection. However, please bear in mind that this is only Jio Preview offer for 3 months. We do not know the rates of their data services as yet. So, I would suggest you wait for the pricing being announced and then take a decision. Can any sim be put in the device? How can I get the jio sim? Hi Arun, I bought JioFi device along with sim. I dont have 4g/VOLTE mobile. 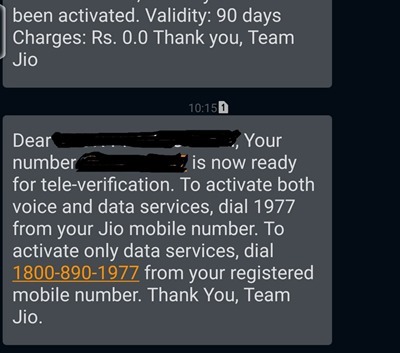 Is it required to have 4g/VOLTE mobile to activate Jio SIM? is there any firmware available to unlock to any networks ? hi arunji I bought JioFi device along with sim. i have faceing the range problem. so iske liye koi antena hai kya? please help me…..
Sir ….my JioFi do not work properly as the agent say…what can i do???? ?